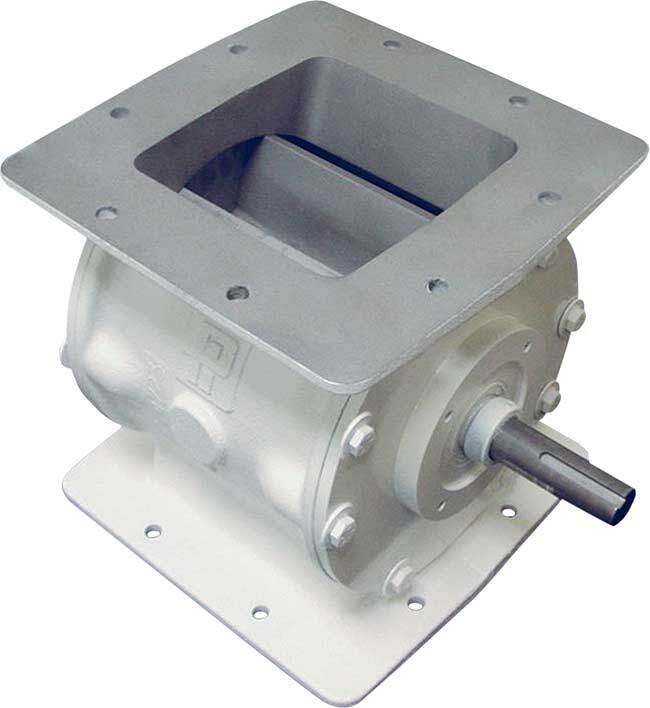 The Dust Collector Series rotary airlock valve is a budget-friendly, economical choice for general use under dust collectors, cyclones and hoppers. The standard features on our Dust Collector Series rotary airlocks are typically found only on heavy-duty airlocks. Eight-blade rotors, precision machining and rugged cast-iron housings all ensure an efficient operation from start to finish. The eight-blade rotor provides two additional tips to seal against air leakage while heavy cast iron housing and end plates ensure maximum rigidity. Our Dust Collector rotary airlock feeder valves can easily be configured for most application requirements. Since our rotary airlocks are designed with larger pockets, for up to 50% more volume, they can run at lower speeds. This ensures longer life, less maintenance and a higher return on investment for your company. Prater understands that temperature plays a significant role in the operation of rotary airlocks, so we ensure that each of our products is carefully machined for actual operating temperature at no extra charge. Other attractive features of the Dust Collector Rotary Airlock Valves include flanges that are custom-drilled for the customer’s pattern at no additional cost, true-sized openings for maximized flow and ultra-close rotor and housing clearances for the best seal possible. Additionally, these rotary airlocks are convenient for any processing application as the in-board bearings are maintenance-free. A low height ensures easy retrofitting into other manufacturers’ rotary airlock spaces. The Dust Collector rotary airlock can be used for low temperature minimal pressure differential, dust applications that are not meant to feed product but instead act as an air seal. View/print Dust Collector Series Airlock product information document here. Beveled Rotor Tips – Increases operating efficiency by minimizing drag and horsepower. TEXP Motor – For use in hazardous environments.